Look closely and you actually see two boats hanging on for dear life. The one closest to the quay is pulling the other down. They look damn dirty too. How beautiful: the frost on this wreck-to-be. 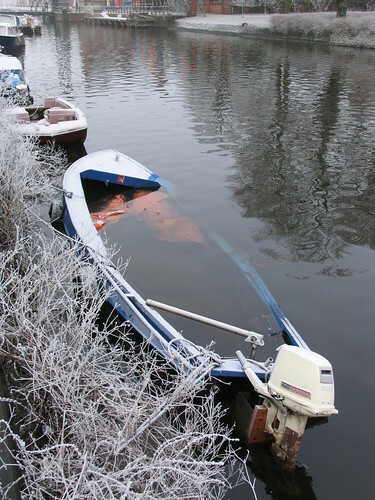 This boat is in excellent condition, such a shame that someone decided to let it go. 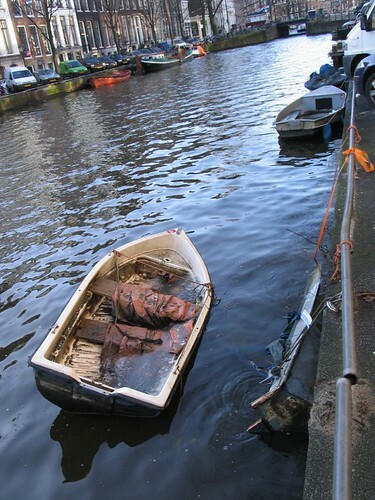 It's been spotted by the dreaded Binnenwaterbeheer, so it won't be there much longer.